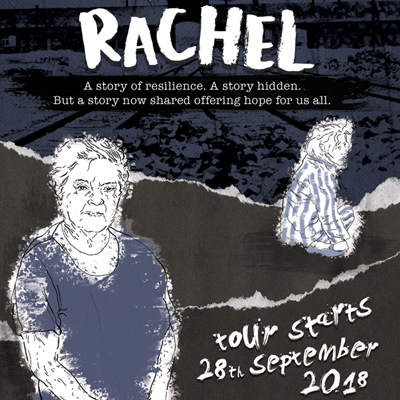 ‘Rachel’ – A full mask theatre production about the life of Mrs Rachel Levy, a survivor, a heroine for our future and a reminder of what we are capable of. This new show is created by Trestle Theatre Company and clown specialists Small Nose Productions; it tells the story of the life of Rachel Levy, a Holocaust survivor, through her eyes as a 13 year old girl. Rachel experienced the Auschwitz concentration camp and the death march to Bergen-Belsen and for 50 years did not tell her story. She now shares her experience of the War with young people in schools and this has become the inspiration for a theatrical telling of her tale. Rachel’s story is for young people, their adults and everyone who believes that the horrors of history cannot be repeated in the present if the stories of survivors continue to be told.